Aside from your window treatments, another big component that can make or break the look and feel of your home is your walls. While most people choose to paint their walls, over the past decade or so, Wallpapers in Singapore has been gaining popularity. 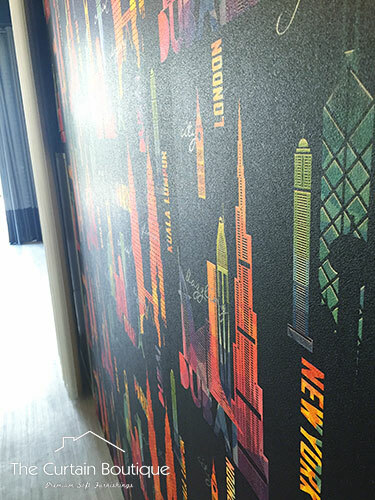 Wallpapers make use of special adhesive materials to overlay your walls with various patterns and designs. The number one reason most Singaporeans turn to using Wallpaper for their homes is that it helps stand them out from the crowd. No matter how hard you try to mix paint, there are only that many colours available. Wallpapers on the other hand, comes in an endless combination of colors, designs, patterns, fabric type, texture etc. When you paint your walls, chances are that that is going to be the colour you are going to be stuck with for the next 3 decades. Wallpapers however, gives you the option to change the look and feel of your home any time you want. A simple wallpaper change can instantly brighten up and change the vibe of the entire place. With the wide range of designs and patterns that wallpapers come in these days, you are sure to be able to find something that suits your needs and theme of your house. Want a futuristic theme home? Opt for a metallic/reflective wallpaper. Want a ocean like beach theme? Opt for a wooden hut look alike wallpaper. The possibility is endless. A simple trick to make your house/room look bigger than it actually is is to use an accent wall. An accent wall is a wall that is different from the rest in the room. There’s no simpler way to make an accent wall than to use wallpapers. Stop for a second and just think of how Wallpapers are in fact just an extra layer that’s wrapping around your wall, and when it comes to sound proofing, the more layers the better. Wallpapers, especially those with protruding 3D textures, helps in reducing noise slightly. Another good thing about wallpaper is that they open the possibility of adding texture to your otherwise smooth boring walls. 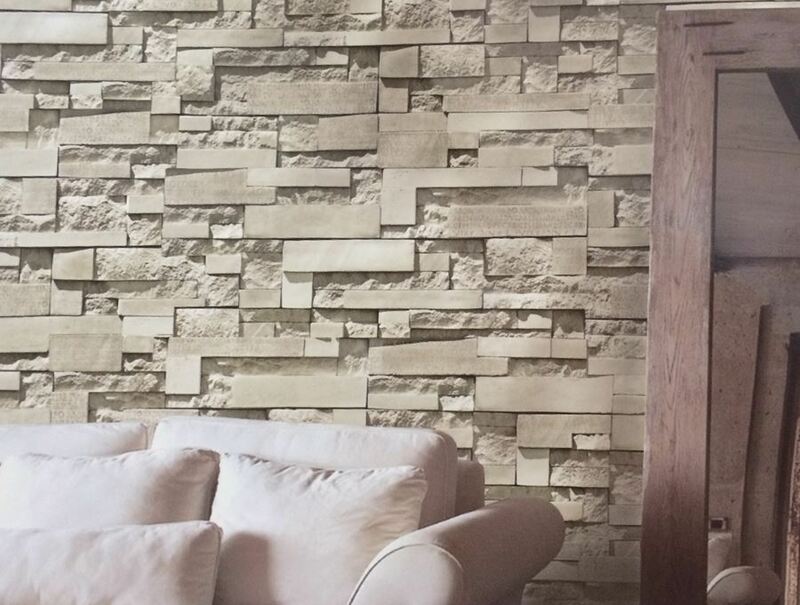 From protruding images to furry wallpapers that you can’t stop rubbing your hands across, Wallpapers gives you that option to explore and add these to your walls. Before purchasing your wallpaper, check with the supplier the wallpapers’ country of origin. Wallpapers from countries such as Germany and Italy have been known to be of higher quality and generally have been more intricate in terms of design and texture. Upon completion, wallpapers are usually up for quite a period of time. They would then also be exposed to natural elements such as dirt, dust, sunlight and if you are putting in near your window, rain etc. It is hence important to make sure that the wallpaper you put up is safe for you and your family. 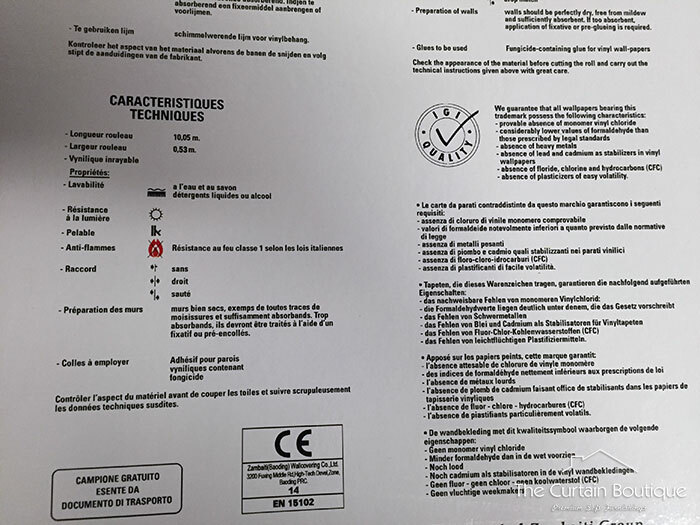 Look for quality labels such IGI Quality mark which is the industry standard governing wall coverings. When choosing your wallpaper, do also check whether it is paper backed or woven backed. Paper backed Wallpapers are common but when you do eventually want to change/remove them, it is generally harder to come off and might even leave paper residues on your wall. Woven backed wallpapers generally come off easier and does less damage to your walls. 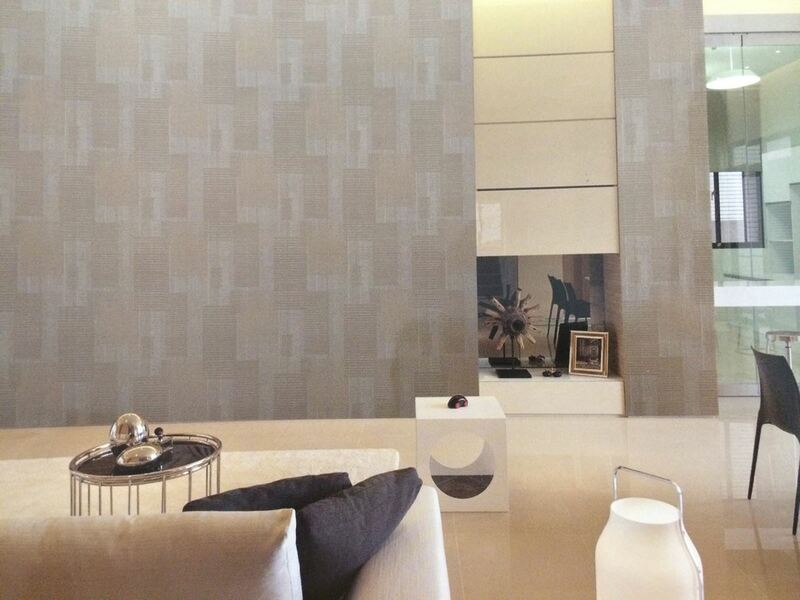 Apart from supplying blinds and curtains in Singapore, we also offer a stunning range of beautiful wallpapers. 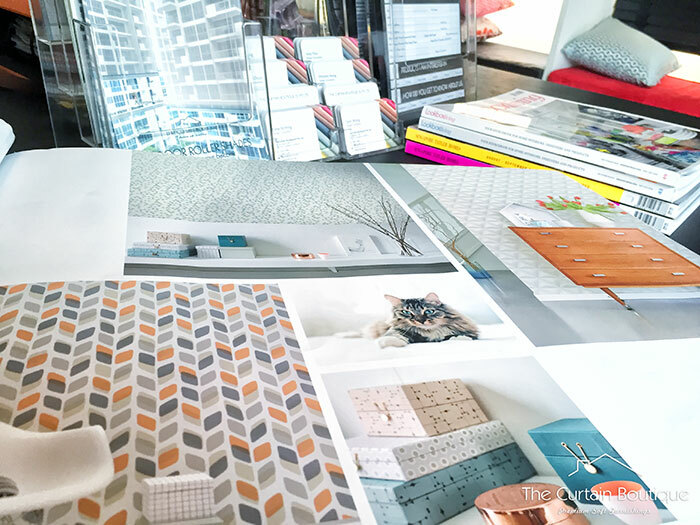 Wallpapers are a fuss-free wall decor solution and can brighten up your living space. At The Curtain Boutique, we have a large selection of wallpapers to choose from – Brick walls, floral, and other patterns. We also have a range of plain wallpapers for those who prefer a clean and neat look. With such a vast color palette, you’ll be spoilt with choices. For a more rustic and natural feel, consider brick wallpaper for a unique, textured look. Achieve a truly unique design with dark wallpapers, available in glossy, satin finishes that will attract the eye of your visitors and set any room apart. We also have cute and colorful wallpapers specially for a toddler’s room. Choosing from adorable themed wallpapers to plain pastel colors to spice up your walls. Head down to our showroom or speak to any of our design consultants to know more about our Wallpapers today.